Our latest article sees us looking at a topic that’s close to the heart of all businesses in the construction sector, Health & Safety. A recent legal case has had large ramifications on how businesses deal with documentation in Health & Safety litigation cases and the subsequent outcomes, and it’s something we think everyone should be aware of. We’ve asked a friend of Kerry London, lawyer Anne Davies from gunnercooke LLP, to tell us about it. Now, as with anything related to the law, there’s some legal speak in the article that our lawyers have advised we use, but please bear with it, we really do think it’s both important and useful for construction businesses. 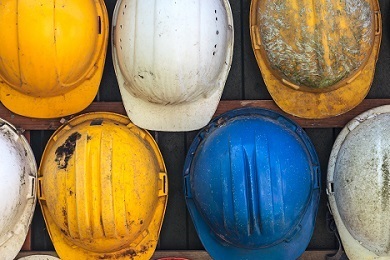 In September, the Court of Appeal passed judgement in a case that has a big impact on any business that operates a Health & Safety policy which, as we know, is more or less everyone. The original case at the High Court saw the Serious Fraud Office (SFO) square up to Eurasian Natural Resources Corporation (ENRC) in 2017. And, although it involved the SFO, the same principles will apply to investigations by the Health & Safety Executive. Without providing chapter and verse on the case, because no-one really has the time to read all that, the case background was this. Way back in December 2010 a whistle blower alleged serious corruption at ENRC. In light of this, ENRC instructed forensic accountants and lawyers to investigate the allegations internally, creating a wealth of documentation including solicitor’s interview notes and forensic reports in support of a bigger investigation report. The only document released to the SFO was the investigation report. The SFO wanted to see all the documents prepared, but ENRC argued these should be the subject of litigation privilege – that’s the protection of confidential communications between client or lawyer and third parties. But the High Court dismissed their claims, ruling that almost all the documents were not privileged as they were not prepared in reasonable contemplation of litigation. Basically, it was no longer clear whether these documents would need to be disclosed to regulatory authorities during the proceedings. Yet, on appeal, it was clarified that almost all of the documents were indeed covered by litigation privilege. The Court of Appeal confirmed that it was in the public interest for companies to be able to investigate allegations or incidents without losing the benefit of privilege, prior to going to a regulator or prosecutor. The big point is that the Court of Appeal determined that fear of having to disclose anything uncovered during an investigation might well lead to no investigation taking place at all. The case helpfully clarifies that generally, documents produced during an internal investigation are protected by litigation privilege, as long as the documents are created when litigation is being considered. As we all know, judgements from the Health & Safety Executive can have serious consequences for businesses, both financially and reputationally, so knowing your rights is absolutely critical. Consider whether any incident could lead to litigation, either civil or criminal, and if so, whether the investigation should be privileged. In-house or externally appointed solicitors should record, very clearly, the reason for the investigation and why the prospect of litigation is being contemplated. In-house or externally appointed solicitors must be instructed immediately to create legal privilege. Waiting will mean any information collated before an appointment is highly unlikely to be deemed as privileged. Simply labelling a document “privileged” does not ensure it is that.